There are many different ways to advertise brands in video games. Some are subtle and some are more obvious. Let's look at a few paths that are becoming increasingly well trodden. Often, games will use a combination of these techniques to keep a good balance between gameplay and broadcasting marketing messages. The online game EverQuest II allows players to order a pizza in-game from Pizza Hut, and Pizza Hut will deliver it to your door (see Figure 11.4)! Press a certain key and a special pizza menu pops up in the game. Here you can select what you want, key in your address, and get it delivered within 45 minutes. Now that's in-game advertising! This approach worked so well, even though it was a very obvious advertisement, because it was so unique that it generated a lot of extra “word of mouth” attention from players of the game. Figure 11.4 Everquest II Pizza Hunt advertisement. To start, you'll want to review the various advertising opportunities listed in Table 11.1. Here I've compiled the types of advertising that are used for various categories of games. Table 11.1 Some in-game advertising opportunities. racing On-screen timer Brand the on-screen timer with a real-life clock/timing company as they do in athletics coverage on television. Any In-game item Use a real-life product as an item in the game, perhaps a drink can, a pair of trainers you can buy, a mobile phone, and so on. Any In-game audio Announce a new product on a PA system or in-game TV. Any Loading screen Feature the company or brand on all the loading screens somewhere. management Stadium/sponsorship Have the brand or company name as the name of a stadium, or in a management game, use the brand or company as an in- game sponsor. racing Car/vehicle customization Place a company's logo onto cars in the game, and allow the player to use the logo as a decal. Character games Customizable character Have a company's logo on the character's clothing or as a decal that can be applied as a tattoo. Any Storyline/plot Include the company/brand in your storyline; in a similar way that FedEx was included in the story of the film Castaway. racing Reward screen/medal Have the company sponsor the reward screen ceremony or the podium that the winning athletes stand on. FPS Watch Have a watch company sponsor the watch that your in-game character wears. In an FPS, the watch should be visible a great deal of the time. Any Compass/map If your game uses an in-game map or com- pass, why not get a real-life mapping com- pany or compass manufacture tied in, with a small logo on them? Any FMV/cut scenes Place companies' products subtly into your FMV sequences or cut scenes. Any In-game pickup Advertisers love this; picking up their product in the game has a positive effect on the gameplay. Not a very subtle example, but say if your character is getting tired, finding some Jolt cola could help keep them awake. Any Locations If a particular building is likely to attract visitors, why not get them to pay to be in the game? For example, you could set a level of your stealth game in the Natural History Museum in London at night and lots of young gamers globally will be made intimately aware of the museum. Adventure Reference If your adventure game features any kind of reference section (where the player can go to look up facts), why not base this on a real-life reference book? Any Tutorials Include a real-life person or company in your tutorial section so they are helping train the player. action Vehicles Include a particular vehicle in the game, and use it in a cool way. Tomb Raider: Legend has a tie-in with Jeep that works in this way. Any Building frontages If your character or car is moving through a city, you can make it feel realistic while generating revenue by getting sponsors on board—banks, fast food establishments, gas stations, and so on. racing Billboards Most racing games can get away with advertising billboards and signs, just as in real- life races. The same goes for sports games, especially those that take place in stadiums. So why not fill these up with real brands? What do people first think of when they come across the brand? What demographic does the brand appeal to? What are the strong and weak points about the brand? Are there any negative aspects that people associate with the brand? What types of advertising does the brand holder do with the brand? Does the brand have staying power? Will the brand be compatible with the “theme” of your game? Take a look at how the advertiser has promoted the brand in other areas. What do its advertisements look like? Is there a consistent theme running through the promotion? Take a look at the company's Web site and see how it perceives the brand. If you understand the brand, you are more likely to use it in the right way within the game. This has two benefits: it keeps the advertisers happy, and if they're happy, they are less likely to insist that you do more in the game with their brand, thus reducing the chance of people noticing overt advertising in the finished title. One obvious route is to get a brand name either in the name of the game or on the box or packaging. Adidas did this with soccer games a few years ago, and Nike is apparently working with Sony on a fitness product as I write this. In order for this to be worthwhile from a game designer's point of view, either you need to be offered lots of money or the brand needs to help you sell your game. If you are developing an unbranded athletics game, for example, adding Reebok might help you sell the game, but it does add authenticity and is therefore a good thing regardless of whether the company pays you money or not. Having a brand attached to the name can damage games, though. If journalists feel that you've slapped on a brand name to try and sell a bad game, word may well get round, and you could end up with a more negative public reaction than if you hadn't used the brand. The Adidas soccer game didn't do very well, but this was almost certainly due to the fact that the game itself wasn't great. The lesson is that you can't make a poor game sell by adding a well-known brand! In fact, if you use a brand that is perceived as being very popular and of very high quality, you need to go the extra mile to make sure that your gameplay is really good (of course, you'd be doing this anyway!). The people who buy a branded game are likely to purchase the game having very high expectations, especially if you are using a high-end brand. When I was at Codemasters we created a game called No Fear Downhill Mountain Biking . In this instance, the “No Fear” brand was added to provide authenticity. At the time, this brand represented a very cool high-status extreme sport image, and it fit the game very well. The company who owned the brand was able to use the game to help promote itself, and we had a cool label attached to an otherwise fairly dull game name, so both of us won in this situation. 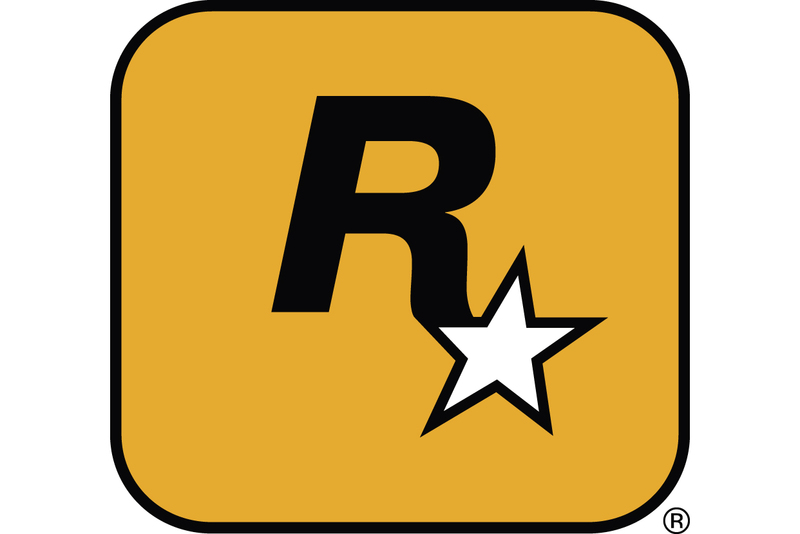 A more traditional route involves getting a brand logo placed into the game. This is done in sports and racing games using standard advertising techniques just as in the real world, but game designers are starting to get smarter about other ways of using logos and signage. Fortunately, games don't have to copy real-life, and there is no reason why you can't allow the player to tattoo the Nike logo onto the virtual golfer when he's being created at the start of a game. Using in-game objects involves the placement of products into the game. These objects could be anything from a bottle of beer to a Mercedes sports car. The idea is that the object is visible and recognizable to the player and the player sees it in a positive light. Ideally for the advertisers, the objects have a constructive use that benefits the player. For example, Pepsi might want its cans and bottles to be available from in-game vending machines to boost the players' health or skill level. From a designer's point of view, objects that add authenticity to an existing game design are good. For example, if you already have a gun in the game, branding it with a Heckler and Koch logo is probably a good thing because it will make the player connect more with the object. Objects that feel out of place and contrived are not good, and I'd encourage you to fight any pressure you receive to use such objects as strongly as you can. If you suspect there is a chance that an average gamer will see a branded object and think, “That's just a blatant advertisement,” then don't use it. Another underused way of advertising is through sound effects, audio, and music. If your character runs through a shopping mall in the game, for example, you may be happy letting real advertisements play over the PA system. Many games have strong musical sound tracks, and rather than paying large sums of money to license them, you might be able to get a talented new band to appear for free or even pay you to feature their name in the game and play their music to lots of new customers. There are also several examples of music being written specifically for games by well-known musicians or DJs. For example, Paul Oakenfold wrote an original track for a rally game that I worked on recently and has just been signed up exclusively for EA. I've heard that many new artists who are featured in major EA titles have had album sales jump massively, so there is no reason the same effect can't happen in your game. You may decide to have proper advertisements in the game while the game is performing functions such as loading screens. You could also play video commercials on the walls in the game. Some online games have advertisements taking up part of the screen in the “chat foyer” when players are waiting for new games to begin. If you think you can get away with it and it won't annoy players, this kind of advertising is something you might want to consider. It's amazing how rarely publishers use their games to cross-promote other games. I believe that as our industry continues to get more professional, more and more titles will include trailers for forthcoming games and hopefully playable demos as well. By having a “trailers” section in the front end, it's fairly simple to promote other games that you are developing and help develop some hype. You need to be careful to stick within the guidelines of the console manufacturers (which includes not advertising Microsoft games on a Sony game and vice versa). Some publishers bundle in a second disc, which is a standard promotional DVD of their lineup. But it's easier and cheaper to include the trailers on the game disc if you can do so. If you have a realistic game world, why not include poster advertisements for your other titles rather than making up fantasy advertising? One interesting aspect that has come about due to the rise in online-enabled consoles is the ability to download new content from a central server. In terms of in-game advertising, this offers fantastic possibilities. Say your game sells a million copies. That's a million people who will be playing the game at various points over the next two months (or probably more, since some people will share a copy). Assume the game lasts 10 hours—that's 10 million man-hours of advertising potential. With the facility to download advertising from a server, you can keep the in-game advertising fresh and attract multiple companies and brands. In a racing game, for example, the player can come back to a track to find that the billboards have changed. The sponsor on the loading screen can alternate each time the player starts up the game. And this also introduces the ability to show advertisements within certain time slots. If a TV company wanted to promote a particular show, there is no reason that anyone playing the game within a couple of hours of the start time couldn't be shown an advertisement somewhere (maybe just in the front end or on an in-game banner) that tells them the show will be commencing shortly. Of course, I'm not suggesting that you should consider destroying your carefully created feeling of immersion by peppering your gameplay with real-world advertisements. But there are certain types of games that aren't about creating immersion and telling a story. One example would be sports and racing games. By considering the power and flexibility that online advertising updates offer you, it's possible to earn quite a bit of revenue that you can then spend on making your game even better. If all this sounds too much like hard work, there are companies that offer to manage in-game advertising for you. Some companies will even sort out the online updating of advertising I mentioned previously. Ideally, you should hook up with one of these companies at an early stage—you may find that a couple of tiny tweaks to your design allow new possibilities. Again, it's vital to keep a balance between revenue and not ruining the game, and you need to be careful when talking to agencies not to get carried away! But the advantage of using companies like this is that you can tell them about your game, who is publishing it, how big you expect it to be, and most important, what opportunities there are within the game (and packaging) for companies to sponsor or advertise. Video games are growing in terms of their reach and demographics. As more people ignore TV adverts, or skip past them after recording shows onto hard disc, advertisers need to look elsewhere to hit carefully targeted customers. Video games offer that, and I strongly believe that in-game advertising is going to grow rapidly over the next few years. I just hope it doesn't get too blatant! One excellent reason for adding licenses to your game is to build its authenticity and realism. The first step is to make a list of exactly what licenses/brands you'd like to use in your game. It's worth trying to push yourself. There is no harm in approaching massive companies; the worst they can do is say no. What is important is to have fallback options and to set a date at which, if you don't have the licenses, you will use something else. I've been in many projects where the licenses take much longer than you'd think, and the last thing you need is a license holding up your gold master. In fact, games have been pulled from the shelves after manufacture because the right permissions hadn't been received, which, as you can probably guess, is an extremely devastating and expensive situation to be in. Try to think about all the places in your game where a real-life brand might help. To convince these companies to get on board (and ideally pay for the privilege as well), print out some in-game screen shots with their logo put in, showing them the kind of result they'd get. You will find that you need to pay for many licenses—cars, real race tracks, some real-life buildings, and so on. But ideally you'll be able to convince the brand owner that they will benefit from the association, and you can reach a deal that benefits both parties. The ultimate destination when talking about working with other companies is to actually create a game for them. More realistically, this might be to create a special version of an existing game for them, since most companies can't (or won't) pay the $4 million to $12 million needed for a high-quality console game. If you're creating a racing game, you might want to consider developing special versions for some of the car manufacturers that you're working with, featuring only their vehicles and putting their branding on the front end and loading screens. If you're talking to a company about in-game sponsorship, then why not bring up the idea of a unique version just for the company and see if it is something it would be willing to pay for. Bear in mind that if a company wants a console game, you'll need to submit the extra version to Microsoft/Sony/Nintendo in order to manufacture gold discs, so you need to check this out before signing the deal and find out whether you'll be charged extra for QA and whether you can get a low-volume run manufactured. Otherwise, creating a tailored PC version of your game is obviously much simpler, and this route makes a lot of sense. Many companies have trade shows, and it's great for them to be able to run a game that features their brand at these shows to inject some entertainment and excitement. For them, it's a case of having something very cool and exciting attached to their brand—video games are great at attracting young consumers. For developers or publishers, it's simply a case of making some additional profit from their existing game engine. Hopefully, you've seen the different kinds of in-game sponsorship and advertising that you might want to consider at some point. Although it may feel overly commercial, remember that you need to make money with your game, and by using advertising in the right way, you could add authenticity to your project while also earning revenue. This could mean that you wouldn't need to sell as many copies to start making royalties, or even that you have additional money to do a better audio recording or to employ a couple more level designers. Just don't sell your soul.